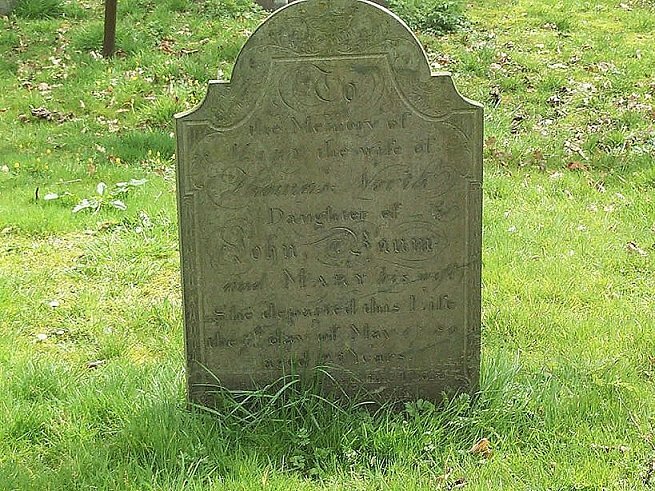 To the memory of Mary, the wife of Thomas North. Daughter of John Baum and Mary his wife. She departed this life the 7th day of May 1780 aged 25 years.